A dark and thrilling fantasy to be sure! As usual I waited a bit before spending my pocket money on this book because it was pushed with such praise that I remained skeptical. At last however my curiosity got the best of me and I took the chance. It didn’t quite steal my soul but it was indeed fantastic and quite entertaining. Do I think it’s worth all of the hype it’s been getting? For myself I can’t say yes entirely, but it was a quick and cleverly written read nonetheless. A high fantasy for the most part set in the land of the Fae, it also dove occasionally into the human world set in modern times. 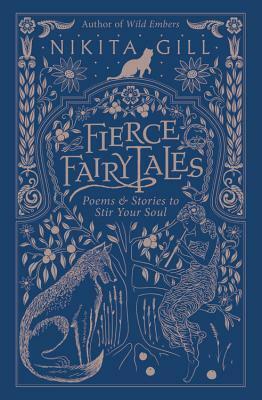 I liked it and yet also felt that it contrasted a bit weirdly against the faerie realm which has everyone romping around with swords, doublets, and castles, all reminiscent of faerie tales from the Middle Ages (do Faerie kingdoms never progress? lol). Something I thought exceptional was the clear amount of research into faerie folklore Black must have put in to produce this book. Deeply traditional she pulls rules and inspiration directly from the ancient sources available to us mere mortals. 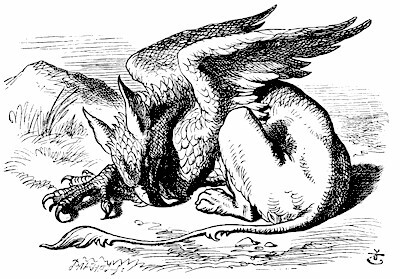 Details such as a faerie’s inability to lie are manipulated cleverly throughout the story. Along this note I think her world-building stunning. It completely enveloped me, holding me captivated and showing me clear images of every moment on the page. And the characters! I enjoyed them as well. Except Taryn. I really dislike Taryn, even before we’re given a truly good reason to dislike her I wasn’t convinced we’d be friends (and honestly that whole “twist” didn’t surprise me). Jude, however, was an extremely exciting protagonist to follow. She has such depth, ferocity, and unrecognized charisma that I couldn’t help but keep my nose to the page eagerly awaiting what she might do next, and yet a part of me wished she wasn’t quite so prideful and hunger for power. She really has a strength and boldness that is impossible not to stare at, and to perhaps admire. The story likes to play around a lot with its characters and their secrets so I can’t discuss them much without spoiling it so suffice it to say that you will never be bored by them. The plot moved at a perfect pace, it was constantly evolving like a grandmaster’s chess match. I think Jude and the plot are what really brought this book together into such a success. The world-building, as stunning as it was, could have fallen flat or cliché or even simply too strange if not for the aggressive grace of the plot with Jude at its helm. Overall I thoroughly enjoyed reading this story and I absolutely look forwards to reading what comes next. Jude has made her play and Cardan has not long until he can break his chains and make his. I cannot wait to see what it might be, for time makes fickle things of us all. The one thing I wasn’t overly impressed with was some of the predictability in the plot and in the characters. Actually there was a lot of predictability. I’m not sure if it’s because I’ve been reading like it’s breathing ever since beginning this blog but I simply found much of it predictable at least in the broad strokes. Who’s good? Who’s bad? Who will live? Who will die? Who will be king? Who will betray who? All of that was pretty obvious. This is definitely one of those books where if something seems too good to be true (particularly in the cruel world of Faerie) then it is. Every time. However I will say that the predictability lay in the major moves, the cleverness hid in the details. So while I could guess what turn or “twist” the plot might make at major points, Jude was often a bit of a wild card and this is why she was such a fantastic character to read and why I greatly anticipate the sequel. Wickedly delightful and seductively clever, The Cruel Prince spins a tale of faerie and what a small mortal girl might do if willing to do anything at all. Captivating, conspiring, and as all-consuming as faerie fruit on human lips, this stunning fantasy will leave you gasping for more. I’m so glad you liked this one! I keep hearing great things about it! I plan on reading it soon so hopefully I like it too!